Hello fellow smokers! Today we are going to try Marsh Wheeling Cigars. 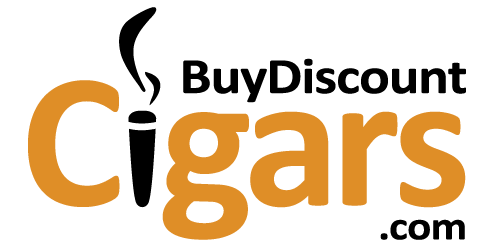 To be honest, I have never heard of them before, but after seeing them on www.buydiscountcigars.com, I decided to look them up on the web. I saw a lot of favorable reviews, and decided to order a box to try. Marsh Wheeling Cigars are a premium brand that consist of Dominican filler tobacco and binder paired with a Maduro wrapper. Some people say Domican cigars now rival Cubans, thanks to increased quality, production and tobacco that is kept fresher with modern techniques. Will all this make the Marsh Wheeling a great cigar? Or will it all go up in smoke? 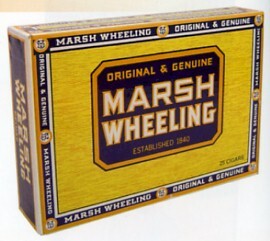 The Marsh Wheeling Cigar box is quite simple, and is a throwback to the old days of cigars. It seems well constructed, and reminds me of cigar boxes I would see at my grandfather's house when I was a kid. It does not have the bright colors and images of modern cigar brands, but that does not bother me one bit. Inspecting the cigars I find that they are VERY uniform. Quality control is truly impressive, as the cigars are very well wrapped and cut, and this is one of the best indications as to the quality of the smoke the cigars will produce. (Ever look at a box of Dutch Masters? They are as abnormal as my cousin from Tennessee, but that is another story!) Quality production does not necessarily equate to a fine smoke, but they do often come hand-in-hand. As I handle the cigar, I continue to be impressed. It feels great in my hand, and has just a very slight oil to it, which I am always pleased to encounter (nothing worse than an old, dried out cigar!). I found the cigar took a flame very well, and from puff number one the quality was obvious. The smoke is in the mild to medium range, and has a wonderfully complex character to it. The smoke was rich but not overbearing to the nose, and soon I found my den smelling great as I smoked on. If you are looking for quality Dominican cigars, and enjoy a mild to medium blend with excellent character, all at a VERY reasonable price, I suggest you order a box of Marsh Wheeling Cigars today!